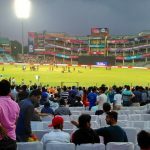 Holkar Cricket Stadium Buy Tickets Indian Premier League 2017. 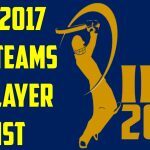 IPL 2017 Tickets buy online for Indore cricket stadium. 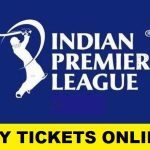 All the matches scheduled at Indore cricket stadium, tickets prices and rates mentioned with details for the residents of Indore (India). 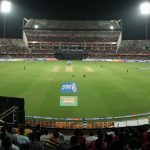 Holkar Cricket Stadium is all set to host the league phase matches in this season of Indian Premiere League and three matches are going to be played at this venue. The first game will be played between Rising Pune Supergiants and Kings XI Punjab on this stadium. In the 2nd battle hosted at this ground will be fought between Kings XI Punjab and Royal Challengers Bangalore while the 3rd contest is to be played between Kings XI Punjab and Mumbai Indians on this stadium. The stadium is located in Indore, Madhya Pradesh and it has the seating capacity of 30,000 to hold and entertain cricket viewers. The ground is formerly known as Maharani Usharaje Trust Cricket Ground. 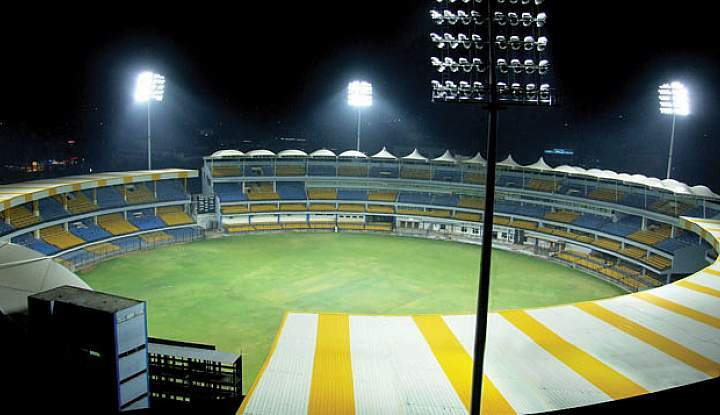 Holkar Cricket stadium was built in 1990 and it is equipped with modern flood lights to host Day and Night matches. The credit for donating land for the stadium goes to the ruling family of Indore State. The Maratha family encouraged the cricket to be played in the state of Indore, as Holkar’s team has played many seasons of Ranji trophy reaching finals eights time and winning the title for four times. Holkar Cricket Stadium is owned and operated by the Madhya Pradesh Cricket Association. The Stadium is the home ground for the Madhya Pradesh Cricket team and has hosted only test in 2016 between India and New Zealand. 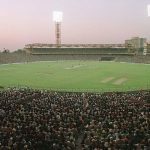 Though the stadium is not very old and was established in early 90’s but it has not gained much importance for hosting international cricket matches since its establishment. The stadium has only hosted three international ODI matches and two of them were played between India and England. It has hosted three finals of Ranji Trophy and all of them were won by Holkar Cricket Team. The ground has also witnessed the highest score 219 of an Individual in ODI match that was scored by Virendar Sehwag. The first ever game of IPL was played on 13 May 2011 at this venue. Despite the fact that the stadium has not gained fame for hosting international matches, but it has been very lucky for the national team of India as India has won all the ODIs and the only Test played at this venue.